THERE’S AN UPDATE BELOW THIS GENERAL OVERVIEW! AND WE HAVE SPECIFIC DETAILS ON RIDES AND LANDS . Disney CEO Bob Iger has just unveiled what to expect at Shanghai Disneyland in a special presentation in China. Since breaking ground in 2011 there has not been a lot known about this new theme park, save for a few announcements on a few attractions. Now, all is revealed, and it is quite exciting! Instead of a Main Street entrance land there will be Mickey Avenue, which seems to both pay homage to Main Streets of other parks and the main Mouse and pals. Avenue M Arcade will be the large shop in the style of Emporium. Fantasyland will feature the Enchanted Storybook Castle already announced, and the Florida hit Seven Dwarves Mine Train. In addition there will be a Peter Pan’s Flight, Winnie the Pooh attraction, and some kind of Wonderland maze. The other featured attraction is Voyage to the Crystal Grotto which will showcase other storybook tales on a boat ride. Interestingly a Gardens of Imagination will be the land featuring Dumbo and a Fantasia Carousel. Castle stage shows will take place here, and a nighttime show called “Ignite the Dream.” The daytime parade will travel through this land as well on the longest route of any park. It seems this land will be different than Fantasyland, though close by because of its making use of the castle. 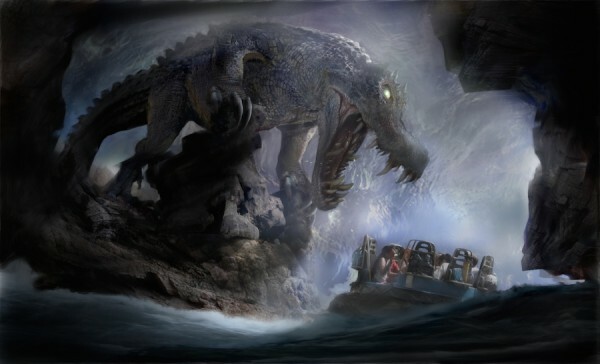 Adventure Isle will be the Adventureland type area with Roaring Rapids that looks to feature some terrifying creatures. Here will also be a Disney mountain called Roaring Mountain, and Camp Discovery. With attractions, there will be a Tarzan acrobatic show. Probably the biggest news for here for any Disney park is Soaring Over the Horizon, which is noted as traveling around the world. It is expected that this is the Soarin’ type attraction that has captivated guests at Disney California Adventure and Epcot. If all is to be true it may spell a new film to be brought to the States’ versions. Treasure Cove will be a separate pirates themed land with the signature Pirates of the Caribbean: Battle For The Sunken Treasure. This looks to be a spectacular version of Pirates with fierce battles and state of the art storytelling effects. Besides this will be Explorer Canoes, Barbossa’s Bounty restaurant, and a stunt show with Captain Jack Sparrow. Tomorrowland will be a unique vision of the long time Disney land. It celebrates the optimism of the future in a way that also celebrates the people of China. Here is where the long rumored TRON Lightcycle Power Run will be showcased. It looks to be an impressive high speed ride with great views of the park. I’m certainly looking forward to this being a longtime fan of the TRON franchise! Who has not wanted to ride a Lightcycle? 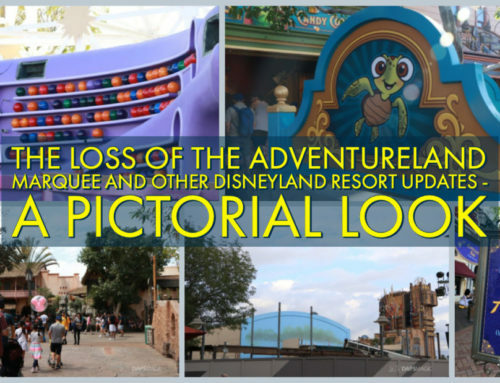 Two great new takes on classic attraction types will be in this land too. Buzz Lightyear Planet Rescue sounds like a little different version of the now common attraction. And Jet Packs is a new take on the classic flying spinning ride, and looks to be a lot of fun. Two experiences/lands nearby Tomorrowland will be Star Wars Launch Bay and Marvel Universe. These will, of course, provide up close encounters with characters from both franchises, as well as looks at movie sets and props from the respective films. Instead of an animation studio there looks to be a comic drawing studio for guests to enjoy. 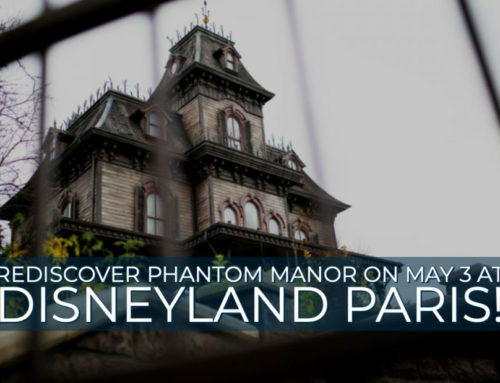 In all, this sounds like a modern Disneyland, incorporating the most recent franchises that have become beloved stories and characters for many. It appears to be a fantastic “sister” park to Hong Kong, which has the more classic flare of a Disneyland. Below are more images and the full press release with some more details of what to expect from this 2016 park! Alice in Wonderland Maze will be based on the Tim Burton film with guests trying to get to the Mad Hatter’s Tea Party. Throughout the hedge maze will be possible encounters with the White Rabbit or Cheshire Cate, while trying to avoid the Red Queen. Peter Pan’s Flight will not be a dark ride version like at other parks. It will be an inverted roller coaster that will slow down for show scenes. Pirates of the Caribbean: Battle For the Sunken Treasure will have boats that can spin, move sideways and backwards, and create a unique adventure possibly each ride. State of the art animatronics will be on the ride and encounters with mermaids and even the Kraken! TRON Lightcycles looks to incorporate the track and lights for an experience outside, in line, and on the ride. It will immerse the riders in the world of TRON through the translucent track and lights. Soaring Over the Horizon is the next step of Soarin’ Over California and will feature a fly over the Great Wall of China. Roaring Rapids takes guests through caverns where they uncover secrets of an ancient tribal legend of a creature and come face to face with the creature, Q’araq. SHANGHAI, July 15, 2015 – Today The Walt Disney Company unveiled key creative elements of Shanghai Disneyland, including its six themed lands filled with world-class attractions and live entertainment spectaculars – many of them a first for a Disney park. 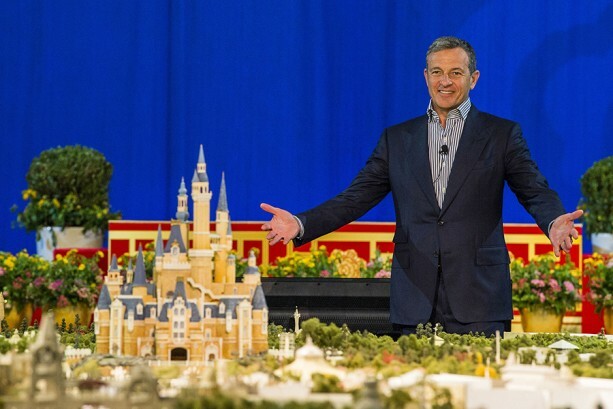 Disney Chairman and CEO Bob Iger revealed a scale model of the world-class theme park and displays showcasing key highlights of unique attractions, entertainment, dining and hotels at a presentation held today at the Shanghai Expo Centre. 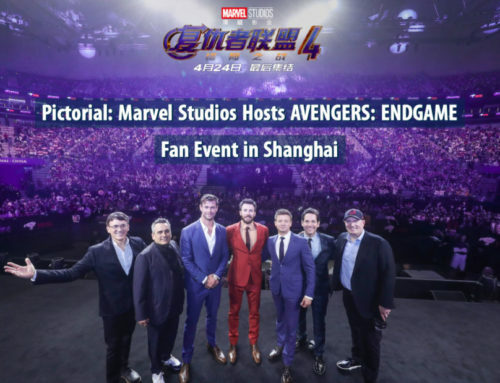 A joint venture of Disney and its partner Shanghai Shendi Group, Shanghai Disneyland is designed to appeal to Chinese guests – taking the best of Disney and delivering it in a way that is created especially for this audience. 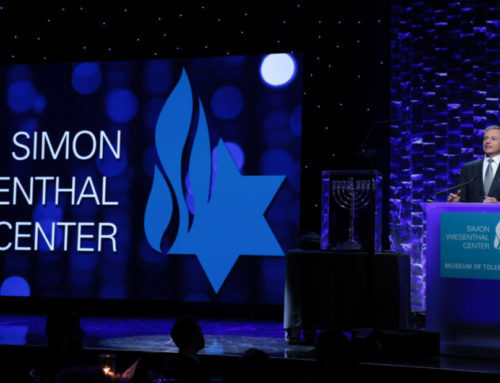 It will extend the 60-year legacy of Disney Parks around the globe. Since breaking ground in 2011, Disney and Shanghai Shendi Group announced that they were expanding the park by adding additional attractions and entertainment to allow more guests to have a spectacular Disney experience at Grand Opening in spring of 2016. Shanghai Disneyland, a theme park with six themed lands: Adventure Isle, Gardens of Imagination, Mickey Avenue, Tomorrowland, Treasure Cove and Fantasyland, with its Enchanted Storybook Castle. Shanghai Disneyland Hotel and Toy Story Hotel, imaginatively themed and adjacent to the theme park. Disneytown, an international shopping, dining and entertainment district, adjacent to Shanghai Disneyland and including the Walt Disney Grand Theatre, home to the first-ever Mandarin production of the Broadway hit Disney’s THE LION KING. Wishing Star Park, a central point of the resort with beautiful gardens, a walking path and a glittering lake. Shanghai Disney Resort guests will find something for everyone. They will be immersed in popular Disney stories that come to life at the largest castle in a Disney park, at the first pirate-themed land in a Disney park, on the longest Disney Parks parade route and in more enchanting places filled with thrills, creativity and adventure. Throughout the resort, visitors will be treated to the Disney difference: warm hospitality and world-renowned guest service delivered by Disney cast members. Shanghai Disneyland, the first theme park of its kind in Mainland China, will be a world of possibilities and a place to create memories that last a lifetime. Guests will enjoy the lush gardens, live stage productions and thrilling attractions and will also encounter Disney characters in each land, including Mickey Mouse and his pals, Disney princesses, Captain Jack Sparrow and Winnie the Pooh. Mickey Avenue is the first main entry at a Disney park inspired by the colorful personalities of Mickey Mouse and his pals. In the neighborhoods of this whimsical avenue, guests will share a hug and get a photo with some all-time favorite Disney characters.Avenue M Arcade, one of the many shops along the avenue, will feature the largest selection of gifts and collectibles inside the theme park. Gardens of Imagination celebrates the wonders of nature and the joy of imagination. Guests will take a spin on the Fantasia Carousel, soar on the back of Dumbo the Flying Elephant and enjoy the area’s iconic Disney entertainment, including Castle stage shows and “Ignite the Dream, a Nighttime Spectacular of Magic and Light.” From several places in this land, guests will enjoy “Mickey’s Storybook Express,” a parade with its own musical soundtrack and colorful performers on the longest parade route in a Disney park. Fantasyland, inspired by Disney’s animated films, will be the largest land and home to the Enchanted Storybook Castle. Guests will experience familiar Disney stories as they ride Voyage to the Crystal Grotto, go in and out of tunnels glowing with dazzling diamonds on Seven Dwarfs Mine Train and take flight over the skies of London on Peter Pan’s Flight. They may also explore the Hundred Acre Wood with Winnie the Pooh or follow Alice through a Wonderland maze. Adventure Isle will immerse guests in a newly discovered lost world, filled with hidden treasures. The mighty Roaring Mountain will tower over guests and they may blaze their own trails at Camp Discovery, travel around the world on Soaring over the Horizon or embark on the thrilling rafting adventure through the heart of Adventure Isle on Roaring Rapids. Treasure Cove will be the first pirate-themed land in a Disney park, a place to join the adventures of Captain Jack Sparrow and Davy Jones. As guests explore this pirate world, they will enter Pirates of the Caribbean – Battle for the Sunken Treasure, an attraction that transforms a boat ride into a journey with cutting-edge innovations in robotics, animation, set design and multimedia. Guests will board a pirate ship, paddle through the scenic cove on Explorer Canoes and dine at Barbossa’s Bounty. Tomorrowland celebrates the limitless possibilities and optimism of the future in Shanghai. Disney’s innovative use of technology has produced a land where guests will go to infinity and beyond on Buzz Lightyear Planet Rescue, a new space ranger adventure, or break the bonds of gravity on Jet Packs. A massive, color-shifting canopy will lure guests to TRON Lightcycle Power Run, a coaster-style attraction where guests board a train of two-wheeled Lightcycles for one of the most thrilling adventures at any Disney park. Nearby Tomorrowland will be two experiences created especially for Shanghai Disneyland – Star Wars Launch Bay and Marvel Universe. In a celebration of the Star Wars Galaxy, guests will meet heroes and villains of the saga, visit iconic intergalactic set-pieces, view props and memorabilia from the most recent Episode, and be immersed in the Skywalker story through a state-of-the-art cinematic experience. In Marvel Universe, guests attend a multimedia mission briefing on the world of Marvel, get up-close with some popular Marvel Super Heroes and take on the role of comic book artist as they learn to draw some favorite characters. At night, the sky above Enchanted Storybook Castle will be painted in dazzling light, with music, special effects and fireworks, adding a special “kiss good night” for all the guests at Shanghai Disney Resort. Adventure Isle, a mysterious land, with an ancient legend about a native tribe, a giant, reptilian creature, and the mighty Roaring Mountain. Voyage to the Crystal Grotto, an enchanting, new excursion that celebrates classic Disney tales of magic and imagination as it travels the waters of Fantasyland, going underneath Enchanted Story Book Castle for a finale never before seen inside a castle. Tomorrowland, a venue with an original design and new attractions to celebrate the hope, optimism and potential of the future, created especially for the people of China. TRON Lightcycle Power Run, which promises to be one of the most thrilling attractions at a Disney park, with a twisting, turning track, high speeds, rich storytelling and a breathtaking view of Shanghai Disneyland. Garden of the Twelve Friends, where animals of the Chinese zodiac are re-imagined as Disney and DisneyžPixar characters. Treasure Cove, the first pirate-themed land at a Disney park, leveraging innovative technologies in the new Pirates of the Caribbean – Battle for the Sunken Treasure and a stunt show spectacular featuring Captain Jack Sparrow. The Shanghai Disneyland Hotel is an elegant Art Nouveau-inspired resort with a touch of Disney magic and imagination, while theToy Story Hotel immerses guests in a world inspired by the toys from the DisneyžPixar series of Toy Story animated films. Disneytown, a vibrant shopping, dining and entertainment district adjacent to the theme park, will be tailored to Chinese guests, with familiar experiences, colors, symbols and design integrated into the area, including traditional Shanghai Shikumen architecture. Disneytown is home to the Walt Disney Grand Theatre, the separate-ticket venue for the global premiere in Mandarin of Disney’s theatrical event, THE LION KING, one of the most successful Broadway productions in history. Another “must-see” for guests will be the innovative World of Disney Store, offering a comprehensive collection of Disney merchandise, including many products designed especially for Shanghai Disney Resort. Near Disneytown will be Wishing Star Park, offering guests an opportunity to enjoy greenery and a glittering lake. With approximately 40 hectares, it includes Wishing Star Lake, a 2.5-kilometer walking path and various beautiful gardens. Shanghai Disney Resort is a world-class family entertainment destination, imagined and created especially for the people of China. 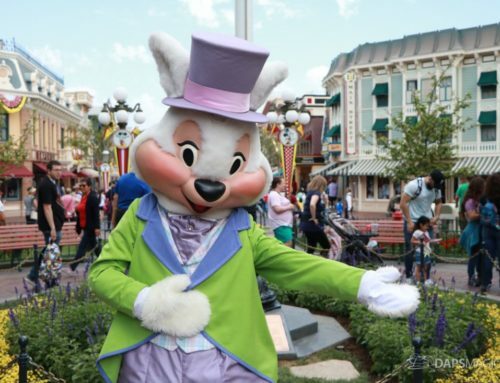 Ideal for multiple-day visits, the resort consists of Shanghai Disneyland, a theme park with magical experiences for guests of all ages; two richly themed hotels; Disneytown, an international shopping, dining and entertainment district; and Wishing Star Park, a recreational area with peaceful gardens and a glittering lake. The resort’s hotels are the elegant, 420-room Shanghai Disneyland Hotel and the playful, 800-room Toy Story Hotel. The Walt Disney Company and Shanghai Shendi Group have joined together to invest in Shanghai Disney Resort. As part of the agreement, two owner companies were formed with Shanghai Shendi Group holding 57% of the shares and Disney holding the remaining 43% of shares. Shanghai Shendi Group Co., Ltd. is a 100% state-owned joint venture investment holding company formed by three sponsors – Shanghai Lujiazui Group Co., Ltd., Shanghai Radio, Film and Television Development Co., Ltd., and Jinjiang International Group Holding Company. Shanghai Shendi Group Co., Ltd. is involved in project investment, construction, and operation through two full subsidiaries: Shanghai Shendi Resort Development Co., Ltd. and Shanghai Shendi Construction Co., Ltd.